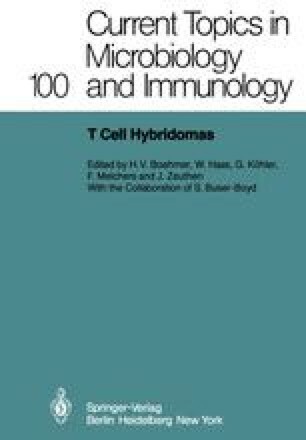 A large number of non-immunoglobulin soluble mediators or lymphokines (LK) with immunoregulatory and other biological activities have been studied over the last 12 years. The majority of these LK are products of T cells activated by antigens or polyclonal mitogens. Studies on T cell-derived LK have been severely hampered by the limited amounts of LK available from conventional cultures and the heterogeneity of the cell populations producing these LK which, in turn, resulted in heterogeneous mixtures of many distinct LK. As a result of these limitations, it has been difficult to delineate the exact chemical nature of LK, the structure-function relationship among various biological activities and their biological significance.